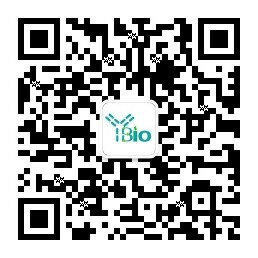 别 名 Clgi; Collagenase inhibitor; EPA; EPO; Erythroid Potentiating Activity; Fibroblast collagenase inhibitor; FLJ90373; HC; Human Collagenase Inhibitor; Metalloproteinase inhibitor 1; Metalloproteinase inhibitor 1 precursor; OTTHUMP00000023214; TIMP 1; TIMP; TIMP metallopeptidase inhibitor 1; TIMP1 protein; Tissue Inhibitor of Metalloproteinase 1; Tissue inhibitor of metalloproteinases; Ttissue inhibitor of metalloproteinase 1 erythroid potentiating activity collagenase inhibitor. This gene belongs to the TIMP gene family. The proteins encoded by this gene family are natural inhibitors of the matrix metalloproteinases (MMPs), a group of peptidases involved in degradation of the extracellular matrix. In addition to its inhibitory role against most of the known MMPs, the encoded protein is able to promote cell proliferation in a wide range of cell types, and may also have an anti-apoptotic function. Transcription of this gene is highly inducible in response to many cytokines and hormones. In addition, the expression from some but not all inactive X chromosomes suggests that this gene inactivation is polymorphic in human females. This gene is located within intron 6 of the synapsin I gene and is transcribed in the opposite direction. [provided by RefSeq]. Complexes with metalloproteinases (such as collagenases) and irreversibly inactivates them by binding to their catalytic zinc cofactor. Also mediates erythropoiesis in vitro; but, unlike IL-3, it is species-specific, stimulating the growth and differentiation of only human and murine erythroid progenitors. Known to act on MMP-1, MMP-2, MMP-3, MMP-7, MMP-8, MMP-9, MMP-10, MMP-11, MMP-12, MMP-13 and MMP-16. Does not act on MMP-14. The activity of TIMP1 is dependent on the presence of disulfide bonds.